Do you need to move your waterbed? Follow these steps to ensure that the move is a success and you don’t ruin your waterbed! Prior to moving, especially if the waterbed mattress is going to be stored for an extended period of time, it is a good idea to add waterbed conditioner. 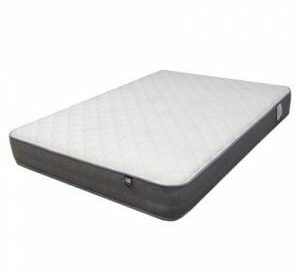 It inhibits bacterial growth and help to keep the mattress from developing an odor and conditions the vinyl. Next the draining process is best done with the proper tools. Tools needed are a drain & fill kit, or an electric pump. Electric waterbed pumps are the fastest method. Pumps can be rented or purchased through your dealer. The process takes up to 50 minutes approx. for a king hard side and 30 minutes with a king soft side. 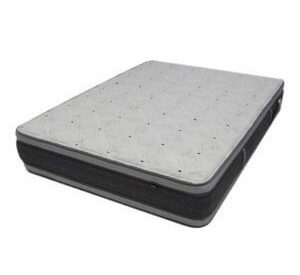 Filling the mattress is simple is can be done by putting mattress into its proper supporting frame. Unfold and remove cap n plug. This will allow air to enter the mattress making it easier to position. 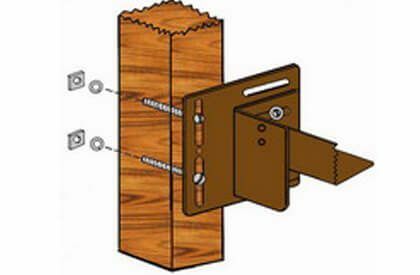 With 2 people one at each in gently pull the bottom corners of the mattress into the bottom corners of the cavity. 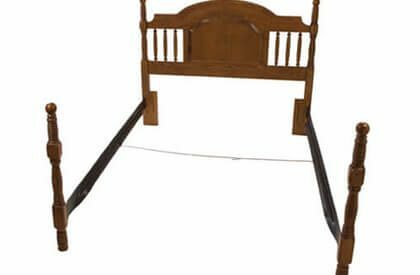 You will need to repeat this step several times gently pulling width wise, length wise, and diagonally until the bottom corner of the mattress is aligned with the bottom corner of supporting frame. You can expect to see some wrinkles in the mattress surface. Using your faucet attachment from the kit, you can attach you hose to an indoor sink allowing you to mix the water being put into the bed. The other end of the hose connects using the mattress adapter and attaches to the valve. Follow mattress-filling instructions this is usually level with safety liner, which is about 1/2-3/4 below top of supporting side rails of the bed. Your heater should only be turned on when the waterbed is completely filled with liquid. Beds can take several days to warm. Be sure to add waterbed conditioner and burp occasionally this will condition vinyl increasing mattress life and eliminate odor, reduce noise, and increase comfort. I have had to repair mine because if I don’t get the air bubbles out the cat attacks them. Something I like to do that makes getting the air bubbles out easier, is to take off one of my padded bumper rails and slide it across the top to force out the air. It makes waterbed less sloshy. Thanks for the help and thanks for sharing your story. Cats and waterbeds, a tough combination without a good thick mattress pad to protect it. If you don’t burp the waterbed it can be really noisy and uncomfortable. One more way to burp or bleed the air out of a waterbed is to lay crossways on the waterbed. Then roll slowly toward the valve. Carefully take off the cap and plug and lift the valve slightly. Do not lie directly on the valve area, the water can shoot out and make a mess, otherwise there is no pressure on the mattress valve. Rolling on the waterbed is the best way plus it’s fun and it seems to get more of the air out that way. I would recommend keeping a hand towel with in reach, you might loose a few drops of water if there is a lot of air in the mattress.